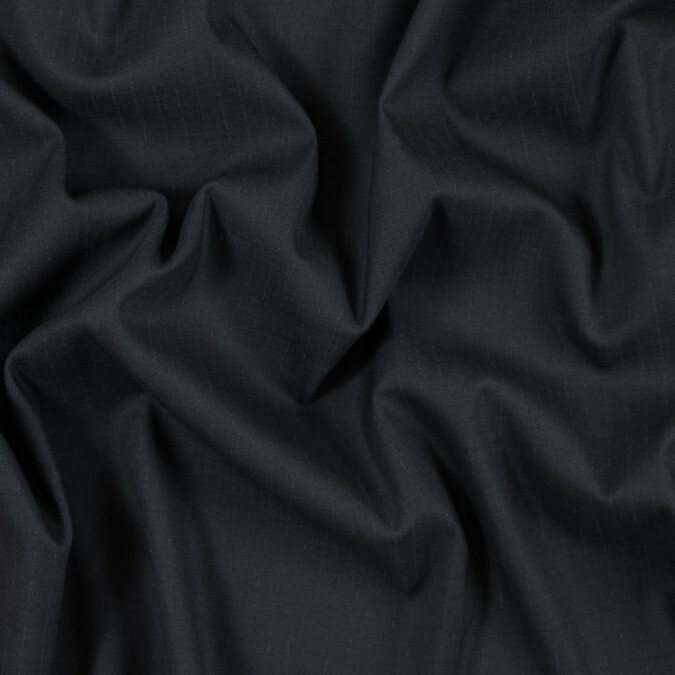 Description Exuding sophistication and class here we have a Pale Black Pinstriped Stretch Wool Twill. Showcasing a timeless print of etched pinstripes atop a diagonal ribbed pattern providing subtle texture to its smooth surface. Beautifully blended with wool and lycra it has a good stretch along the weft of the fabric allowing for comfort and ease. Opaque and of a medium-weight it is an easily draped woven fabric great for an array of fashion applications. Versatile and stylish use this wool suiting to create chic pant suits.